The Mora Smoothie fashion blog, DIY fashion by Paola Buonacara: At MICAM meeting Chie by Chie Mihara! Today I'm gonna tell you about the fantastic meeting I had at Micam with the designer Chie by Chie Mihara, so solar girl, charming and witty as her amazing creations. Shoes with vintage mood but with humor, shoes that, for those who has tried knows that they are more than just beauty, a unique comfort, because built on a footbed designed by Chie specifically for the female foot. In this collection you seem to fall in the 50s as a typical American wife with a pois print, or in the 60s with golden or blacks buttons, mixed with colored heels or be catapulted in the 70s with heavy heels and lace. You know, I'd like to have them all, but especially the one in the first pic, I really love them. Have you never worn them? Oggi vi parlo del mio fantastico incontro al Micam con la designer Chie del marchio Chie Mihara, una ragazza solare affascinante e spiritosa come le sue meravigliose creazioni. Scarpe dal mood vintage ma con humor, scarpe che, per chi le ha provate sa che oltre alla bellezza c'è di più, un confort unico, perchè costruite su un plantare anatomico progettato da Chie specificamente per il piede femminile. In questa collezione ti sembrerà di piombare negli anni '50 come una tipica moglie americana con la stampa a pois, o negli anni '60 con i bottoni dorati o neri, mixati a tacchi colorati o catapultarti negli anni '70 con i tacchi pesanti e le stringate. Che dire io le vorrei tutte, ma soprattutto le prime le adoro. Ottiiiiii hai conosciuto chie mihara!!!! È bravissima! Non conoscevo il suo marchio, molto interessanti le sue creazioni, mi piace! Conosco il suo brand ma non in maniera approfondita...creazioni molto originali ma che non rientrano in pieno nel mio stile..
thank you for sharing those lovely shoes! they're so gorgeous i cannot. La collezione è davvero strepitosa! ciao Paola davvero dei modelli interessanti e molto creativi... complimenti per l'incontro!!! Sono veramente carini queste scarpe!! ma che spettacolo queste scarpe!! Conosco Chie Mihara e ho alcune sue creazioni..scarpe dal comfort assoluto davvero curate nei dettagli, è bravissima! Io amo-ADORO-ammiro questa designer *-* da sempre! Too cute. I love the unique style. these are so fab! love! Gosh I love the shoes and they look so comfy and stylish!! Molto originali ed interessanti queste creazioni, complimenti! Amazing shoes! I bet it was such a cool meeting! Great selection of shoes doll!! I love all of them! Wow awesome pairs! Love classic black shoes! mi piacciono tutte!!!!! sono troppo belle, dovrò cercarle! Cute shoes! 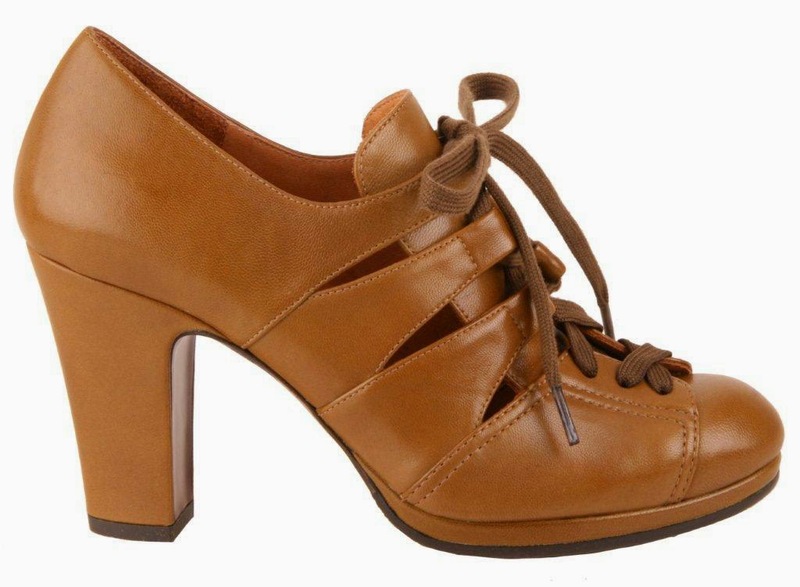 I love Chie Mihara! That looks great shoe !!! Thanks for your lovely comment on my books blog, maybe you want to visit my fashion blog? These are such lovely shoes! Too cool! Hope you're having a great week, babe! Hanno davvero l'aspetto very vintage! Carinissime!